I recently acquired a rogers majestic radio and have managed to repair it. The chassis number is 9R514. I have looked at the schematic but I do not know which dial bulb this radio needs. 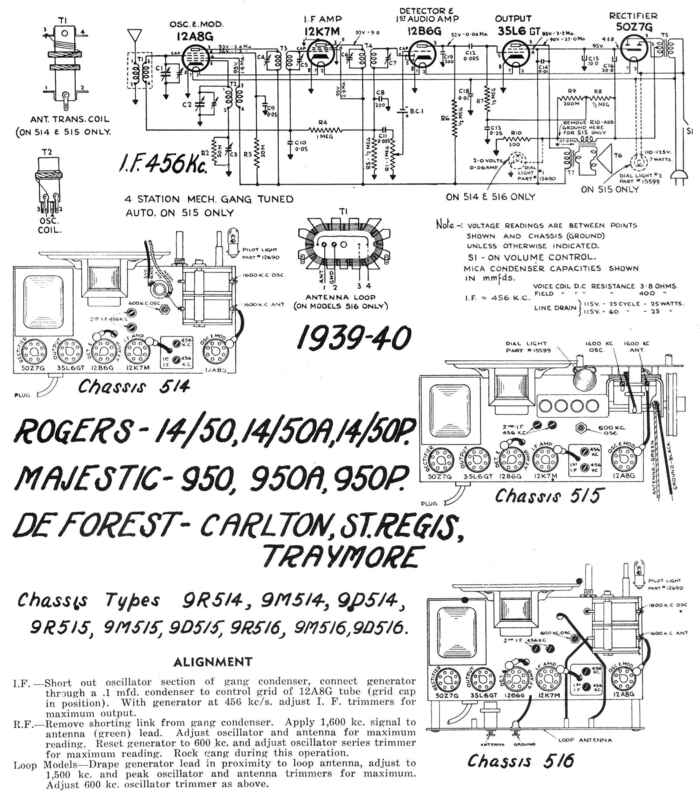 The old rogers part number was bulb #12690. Which kind of bulb could I use as a replacement? The bulb has a bayonet base. Thanks for your help! Twelve years ago (thanks to Matt's spade ) I was just going by what was listed on the schematic which would be 2.0 volts at 0.06 amp which would be 60 ma. You'll note that it says "On 514 and 516 only" the 9R514 chassis being 514. I was trying to figure out why the 49 type dial light more commonly found in battery sets with a 2V 60ma rating which seemed to be a little low in an AC set to be the "dial" light. For instance the 515 chassis has a 7 watt bulb.... After finding a photo of the 9R514 shown below with a dial red spot "on" indicator.... that would explain the reason for that value. Thank you for the links and explanations to answer my question! Very helpful!